It took six months to complete and a lifetime in the making to pull together my biggest collection of work to date. I am honored to have a way to express myself and share my work with the world. A big thank you to Daniel White, Thersa Rice, Sebastien Lubin, and my family for the support and the love. 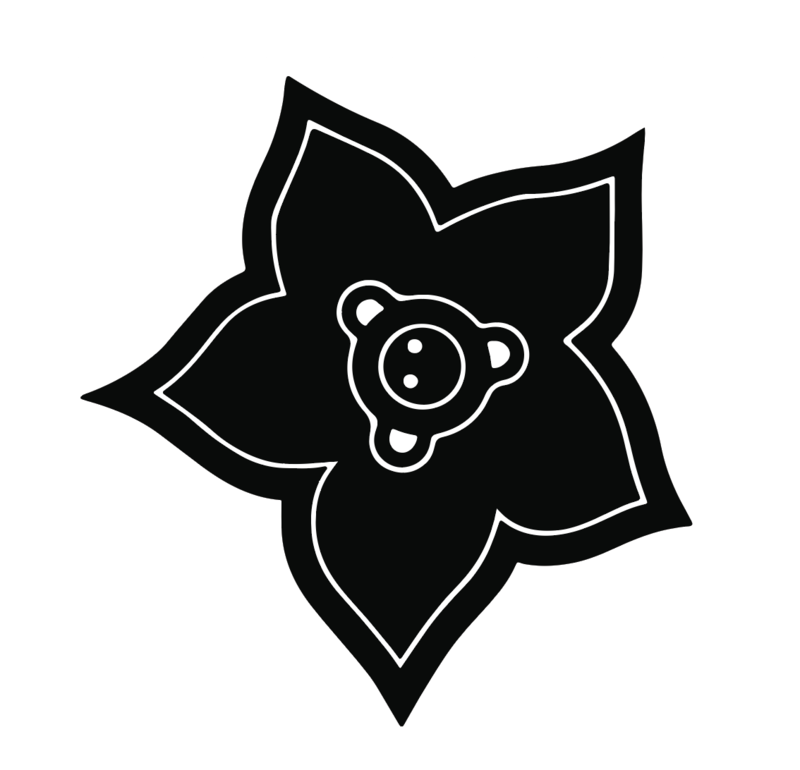 Couldn’t have done it without you. There was no opening event but there will be a closing reception on August 25th. For details, check out the press release from the museum. Hope you’ll have the chance to see it. The Mason-Scharfenstein Museum of Art (MSMA) at Piedmont College will host “Midnight Garden,” the first solo museum exhibition by new Georgia artist Mac Stewart, May 20–Aug. 26, 2016. MSMA hours are 9 a.m.–5 p.m., Monday through Saturday. Admission to the exhibit is free. The museum is located on the Piedmont College campus at 567 Georgia Street, Demorest. The self-trained painter from Lawrenceville has quickly earned the respect of critics and collectors. At 20, he became the youngest artist to have work purchased for Atlanta’s High Museum of Art’s permanent collection. He has assisted on the projects of contemporary notables Cleon Peterson, Shepherd Fairey and Michael Lin. His paintings are also in New York, California and European private collections. At 19 Stewart was the youngest artist ever invited to participate in the Living Walls Project, an Atlanta-based art venture that annually attracts participants from around the world to beautify the city’s urban spaces. Just turned 21, Stewart’s graphic interpretations reflect exceptional strength and maturity. Most of his current work uses black and white with the occasional introduction of a single flat color, basics he’s used with success for his enormous outdoor art pieces and large scale interior canvases. 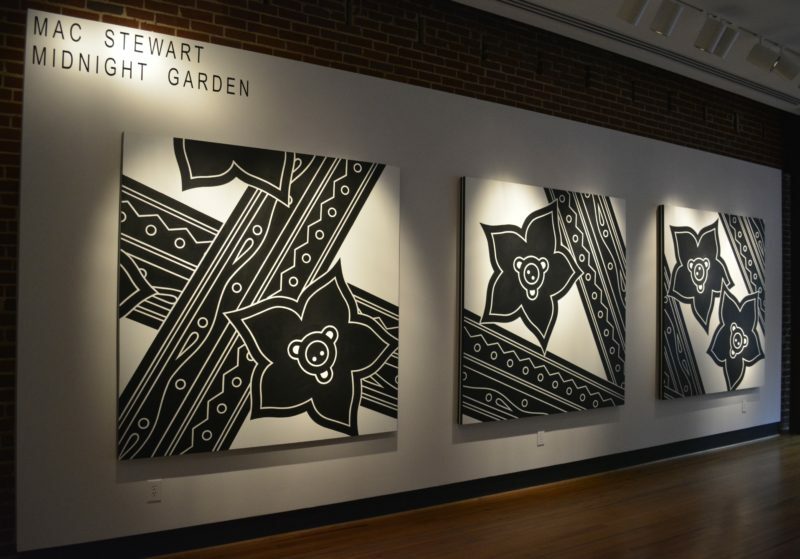 For “Midnight Garden” Stewart synthesizes influences from 20th century giants Picasso, Warhol, Haring and Basquiat into his own bold style, exhibiting large canvases and showcasing new tower-like painted sculptures, his first venture into three-dimensional art.